Before becoming the world's most notorious dictator, Kim Jong-Il ran North Korea's Ministry for Propaganda and its film studios. Conceiving every movie made, he acted as producer and screenwriter. Despite this control, he was underwhelmed by the available talent and took drastic steps, ordering the kidnapping of Choi Eun-Hee (Madam Choi) - South Korea's most famous actress - and her ex-husband Shin Sang-Ok, the country's most famous filmmaker. A nonfiction thriller packed with tension, passion, and politics, A Kim Jong-Il Production offers a rare glimpse into a secretive world, illuminating a fascinating chapter of North Korea's history that helps explain how it became the hermetically sealed, intensely stage-managed country it remains today. The last thing Shin Sang-Ok remembered was sitting in his cell, unable to feel his own heartbeat, too weak to move or stand. He had been held in a North Korean detention center for almost two years, crammed inside a solitary cell barely big enough to lie down in, with one tiny slit of a window high up on the wall and thick steel bars across it. Bugs teemed through cracks in the floor. Except for a thirty-minute lunch break, a ten-minute supper, and a thirty-minute "sunning" period in the prison yard, he was required to sit in the exact same position all day, head bowed and motionless, absolutely stock-still, or suffer even greater punishment. This tight journalistic account is a pulse-pounding, cinematic narration of not just the couple's abduction and their eventual escape - but of the North Korea of the 70s and 80s, a surreal canvas for a truly bizarre story. Proving that life can sometimes be stranger than fiction, A Kim Jong-Il Production is a riveting ride. (Reviewed by BookBrowse First Impression Reviewers). Fischer's entertaining narrative paints an arresting portrait of a North Korean "theater state," forced to enact the demented script of a sociopathic tyrant. Starred Review. 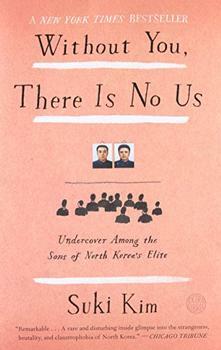 Fischer matches keen cinematic analysis with an unusually cogent and vivid brief history of the two postwar Koreas . 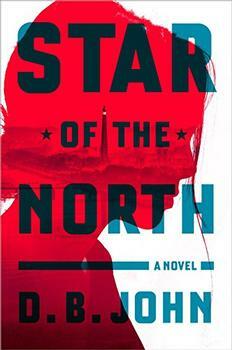 . . Gripping and revelatory, Fischer's true-life thriller provides a portal into the mad tyranny of North Korea. Starred Review. Exhaustively researched, highly engrossing chronicle . . . A meticulously detailed feat of rare footage inside the DPRK's propaganda machinery. That a North Korean dictator should kidnap two South Korean movie stars and force them to make films he hoped would rival Hollywood seems the stuff of fantasy. But it isn’t, Kim Jong-Il did and Paul Fischer captivatingly tells perhaps the most extraordinary tale from the world’s most bizarre country. A Kim Jong-Il Production is simply flabbergasting! In A Kim Jong-Il Production, Paul Fischer defrosts a Cold War story almost too wild to believe, an epic love story that reveals in Technicolor the North Korean hermit kingdom and its movie-obsessed, improbably charismatic late leader. This book is un-put-downable. A Kim Jon-Il Production is the true story of desperate movie stars, daring escapes, and the paranoid leader who brought it all together. Equal parts history, thriller, and farce, Fischer’s masterful reporting will keep you engrossed until the very end.